While that adorable face, soft fur, and unconditional love is endearing in and of its own, research is demonstrating time and time again that animals really are good for all of us. Children and pets are an wonderful combination, but pets helping children with disabilities is even more special. Animals can have an amazing impact on a child’s physical, cognitive, social, and emotional development, which is even more profound for those with special needs. Animals provide an important source of stability, love, and lack of judgment that children gain a lot from. In particular children with Autism Spectrum Disorder are impacted very positively by the presence of a pet. Kids who are differently-abled also benefit from seeing animals who have impairments. 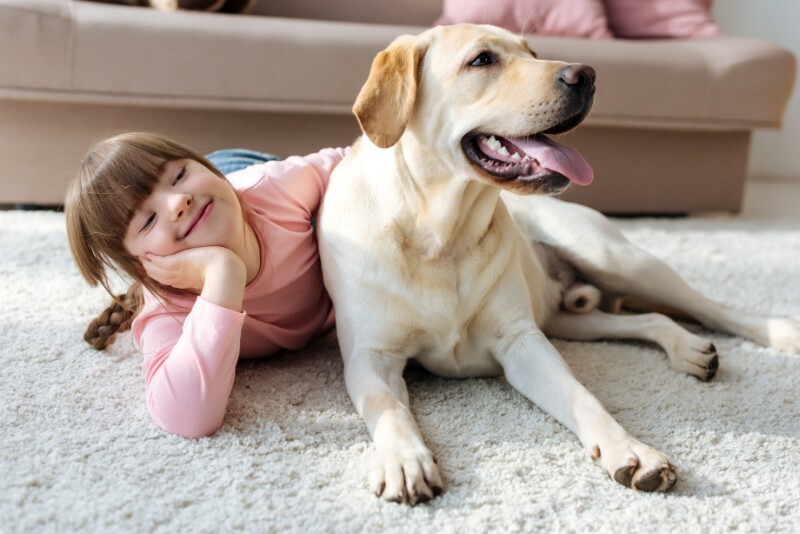 Whether a pet is missing a limb, has become blind, or needs to receive injections to stay healthy, young minds see a positive role model who stays brave and positive in the face of adversity. Animals also provide a stable and non-judgmental source of support during difficult times. Humans can only aspire to provide the same. Our staff at Springbrook Animal Care Center feels that it is an important part of our calling to facilitate the relationship between children and pets. Please don’t hesitate to let us know if you have a scout troop, class of children, or know a young person who may benefit from interaction with animals. We are happy to help grow this beautiful bond.